Treat Your Feet Buckhead in Atlanta offers hot stone massage therapy. Hot stone massage helps melt away muscle tension, ease muscle stiffness and increase both circulation and metabolism. Hot stone massage techniques promote deeper muscle relaxation with the use of smooth, water-heated stones placed at very specific areas of the body. This massage style has roots tied to both ancient Eastern massage techniques and Native American massage techniques and has been westernized throughout the years to assist in the healing of modern day stresses and ailments. The hot stone massage is a blend of Eastern and Western massage therapy styles. 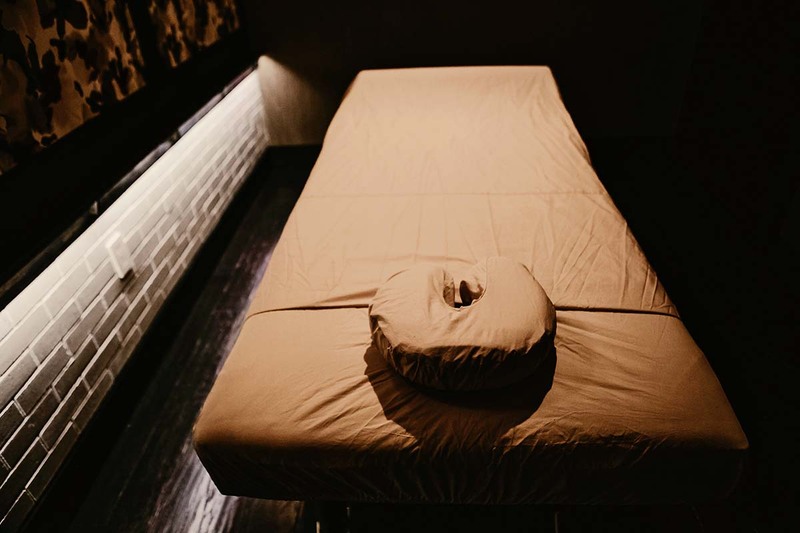 Hot stone massage therapy has some similarities to Swedish massage and deep tissue massage with its mostly mechanistic approach to diagnosing and addressing the body’s problematic areas. Hot stone massage adds an extra element to the experience which is the addition of heat. The stones that are used are usually basalt, which is a black volcanic rock that absorbs and retains heat well, and have been naturally smoothed by the river or sea. The stones are heated in a water bath ranging from 120 to 150 degrees Fahrenheit, and are applied to tense muscles in order to promote relaxation. The addition of heat allows the therapist to access even deeper layers of muscle than possible without the use of heat. The therapist may also leave heated stones in specific points along your spine to help improve the flow of qi (energy) throughout your body. Combining full body massage with the addition of heated stones and access to deeper tissue provides a relaxing experience that will also help diminish muscle pain and tension, as well as an array of other ailments. Although hot stone massage therapy is used to foster relaxation and full body rejuvenation, many patrons prefer this massage style for its additional healing qualities brought upon by the addition of heat. Heat has been used as a therapeutic technique to assist in the healing process in many cultures for thousands of years. Heat has essential healing properties that are known to increase blood flow and circulation, help remove toxins by increasing metabolism, relax muscles and relieve tension. Many feel that it enhances the intensity and benefits of the massage experience while promoting deep relaxation. While there is a long list of ailments that are alleviated with the use of hot stone massage techniques, the addition of heat is not recommended for people who have diabetes, high blood pressure, heart disease, or are on medication that can thin your blood. You may also want to consult your doctor if you are pregnant. Many people love the experience of the hot stone massage because of the smooth texture and moderate weight of the stones. In a hot stone massage, the stones are left on the body the entire duration of the massage helping to ground the experience of the massage. What is the Difference Between Hot Stone Massage and Traditional Massage? Although both massage styles are similar in that they provide stress relief and overall relaxation of the mind, body and spirit, hot stone massage uses the addition of heat in order to further promote tension and pain relief that stems from deep within the muscles. Many people favor this particular style of massage because they feel that the heated stones help to ground the overall experience. Atlanta massage Therapists at Treat Your Feet Buckhead are fully trained and experienced in hot stone massage techniques and look forward to providing you with an authentically relaxing, rejuvenating and healing experience.